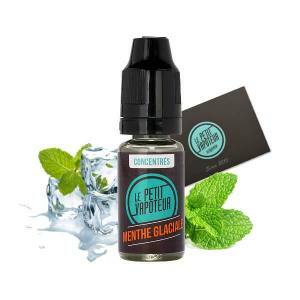 Find in this category all of our Concentrated Menthol Flavours. 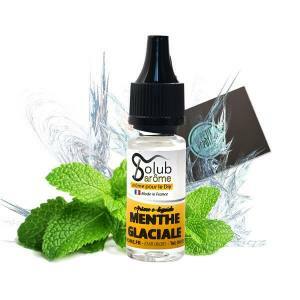 The Mint is put in the spotlight with this Menthol Pack: Classic Menthe, Menthe Douce and Menthe Polaire ! Shiver yourself with this fresh pack composed of Citron Givré, Le Rouge and Fraise Fresh Concentrates ! The pleasures of a soft mint, green and soft. To be vaped alone or with a DIY composition of your choice. A familiar Mint which is very refreshing. Prepare yourself for shivers! A Strawberry and Raspberry Candy enhanced with a touch of Mint. Vape the freshness of a sublime Lemon, notes of Blackcurrant and other Red Fruits . Concentrated Mint aroma of the brand Revolute in 10 ml. Produced in France by Nicoflash. A fascinating concentrate composed of of Peach, Kiwi Aromas mixed in Mint Tea. An Icy Icy Mint. To be used on its own or with other aromas of your choice to compose your own recipes. An aroma which will remind you of a Mint Chewing-Gum. Blackcurrant accentuated with notes of Blueberries accompanied with freshness. A mixture of creative Exotic Fruits which is mixed with a touch of freshness coming perfectly together. A surprising bond between Green Apple, Pomegranate, enhanced with a touch of Mint. Mix of Iced Red Fruits. A concentrate of Strawberries, Blackberries, Raspberries and Blueberries with a breath of Ice. 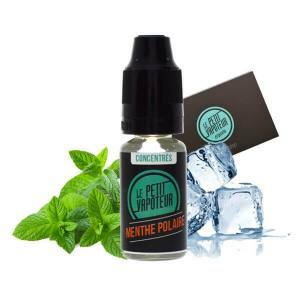 A mixture of Iced Lemon and Berries accompanied with Strawberry Menthol.10ml Bottle! A delicious Mint Ice Cream with Chocolate Chips. A concentrate which is a perfect end to a dinner. A cocktail of White Gin, with notes of Blackcurrant, Absinth, Mint Leaves and Infused Menthol. A sophisticated combination of flavours with Liquorice Finesse, Red and White Grapes. With a subtle note of Menthol. A surprising Mojito containing Strawberries and Red Fruits with subtle notes of Mint, Lemongrass and Lime. Powerful flavours of Black Cherry, sour Currants, Garden Strawberries, Wild Strawberries all in a brine of freshness. A recipe which is specially dedicated to Raspberries and Strawberries with a good hint of freshness! Iced Water at this stage is very refreshing with notes of Orange, Apricot and some Red Fruits! A powerful sweet Pomegranate Juice, exotic with a touch of freshness. It will refresh you for the day. All you need for a brain freeze! An undoubtedly combination of acidic, sweet berries and a bath if Ice Cubes. Benefit your holidays with a little bit of Paradise gracious to the fleshy Mango, fruity with a hint of Freshness. Spend your summer with delicious juicy Watermelon, very refreshing. Settle yourself comfortably under the sun and savour this delicious watermelon which is ultra refreshing. A powerful sweet and juicy Grenade, acidic, exotic, you will embark upon a touch of freshness. A cornucopia of fruits is waiting for you. On the inside, Blueberries, Crushed Ice, forming a whirlwind of ice. A very fresh Menthol Flavour, which becomes more and more chilling. You have been warned. A Mint Cream Aroma. Perfect to bring a little bit of Mint Cream to your E Liquids. A very fresh Mint Flavour. To be used on its own or with other aromas of your choice to compose your own recipes. A Peppermint Flavour. To be used on its own or with other aromas of your choice to compose your own recipes. A triple winner with this mixture of three different grapes. Fresh ans Sweet! All Malaysian and full of freshness, this cocktail is made with Blacurrants and Melon with a juicy white skin. Please your tastebuds will this refreshing mixture of Grapes and Blackcurrants. A fresh recipe with Watermelon and Strawberries. A delicious juice to be vaped without wait ! Authentic fruits, freshness and the gourmandise in this mixture of Honeydew Melon, Bubble-gum and Fresh Mint. An exotic and dehydrating experience of: a juicy Pineapple with light refreshing effects. Fruity fresh and a little bit gourmet, with fresh ripe Strawberries and flavoured Jello like the famous British Dessert. Find tastes of sweet and sour Guava Rose with a touch of Menthol. Mix of surprising Citrus fruits: Lemon, Lime.. but also with Yuzu and a hint of freshness. You have been warned. The exquisite freshness of a sweet and juicy Melon. All in the power of this sublime Cactus with deep and mysterious notes of Citrus Fruits. This Concentrate consists of Pineapple which will make you completely crazy with pleasure ! A cocktail of Strawberries with a sublime touch of Tropical Fruits. Make the most of this fresh Peach mixture, with mysterious exotic fruits. The intense and freshness of a sweet Pine Sap candy from the Vosges Mountains . The concentrate Fruity Champions League is ideal for lovers of Red Fruits! A Fruity Champions League Concentrate created for lovers of Strawberries ! Appreciate a nordic cold with concentrated aromas of Cola, Lemon, and Mint. Refresh yourself by sipping a this Mint accompanied with Lemon for beautiful citric notes. In search of Mint Flavours with extreme freshness ? Discover this Extra Strong Mint ! This, full of freshness Mint will give a shiver of freshness! Of red fruits, Aniseed, Mint and Eucalyptus : a perfect recipe for a delicious concentrate!